Right after an intense workout, you feel you can take on the world. Unfortunately this blissful feeling is sometimes followed by an aching soreness which can make you regret training so hard. You could also feel the opposite and feel satisfied because the soreness must mean you trained well. We’ve all had it: muscle soreness. In this article we’ll discuss what it is, why it sometimes takes days to kick in and if there is an easy cure. For answers to these and more questions keep reading. There are two types of muscle soreness: the muscle soreness you feel right after a workout, or, acute muscle soreness (by straining a muscle for instance). This muscle soreness is called immediate soreness. It is cause by lactic acid which irritates the free nerve endings. 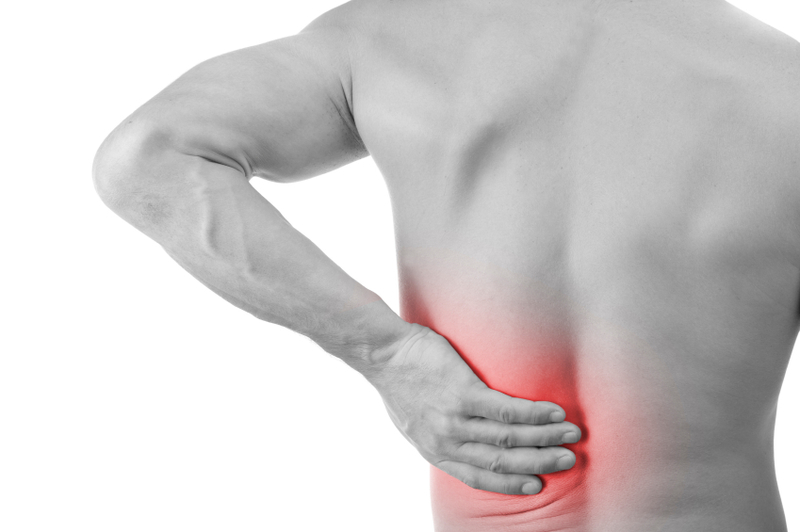 The second type of muscle soreness is called for delayed onset muscle soreness (DOMS). This is the soreness that kicks in after 24 to 48 hours after an intense workout. Muscle soreness occurs after damage has been inflicted on a muscle from doing a movement it is unfamiliar with. The cause of the pain is due to microscopic tears in the muscle fibers. After inflicting damage to these muscle fibers, they eventually recover and so called’ intramuscular coordination” will occur. In other words, this means adding more fiber to your existing muscle fibers. After muscle damage has occurred from exercise, your body will fully recuperate and become stronger. While the release of lactic acid causes discomfort in immediate soreness, it is now widely accepted that this is not the case for DOMS. As muscles repair themselves after a heavy intense workout, certain substances are slowly released and these are believed to create the aching muscle soreness you feel days after your workout. When you first start working out, you will be more likely to feel muscle soreness because your body is not used to the movements. The more often you train, the less likely you will experience muscle soreness due to your body adapting to the movements. Here is an example: let’s say that you regularly train your triceps with dumbbells. At first, you will feel soreness but after a while your body will get accustomed. However it could very well be that if you switch up your triceps exercise to dips (an exercise without dumbbells); you will experience DOMS after a few days. This would make sense since muscle soreness occurs from movements your body is not used to. Working out with muscle soreness: do or don't? We now know that muscles after an intense workout are damaged and that eventually they will recover. Many fitness experts will say it is best to wait for these muscles to recover before taking on a new intense work out. This sounds logical in the sense that when you work out with soreness there is an increased chance of injuring yourself. It can be hard to differentiate between muscle soreness and an actual injury. Some fitness experts recommend light cardio, such as a jog, when you have muscle ache. They claim this helps to increase blood circulation and transport nutrients to the muscles which repairs the tears and muscle damage quicker. While there are many opinions on whether or not to continue working out with muscle soreness, I recommend listening closely to your body. Remember, ‘overdoing’ it can cause injuries which might make you unable to work out at all. Is there a fast cure? This is debatable. Some people swear by taking a sauna or even an ice bath. The truth is there is no scientific research to support these ‘cures’. Some people find that light cardio helps to soothe muscle soreness. However, if the muscle soreness is extreme, you can always take medication and painkillers. Keep in mind that numbing the ache does not make the cause of the pain go away. Be careful if you choose to exercise while taking medication. Muscle soreness occurs after a workout or movement your body is not used to. Depending on the level of intensity of the movement, you can experience immediate soreness or delayed soreness. The latter is generally the more painful soreness and this kicks in between 24/48 hours after the workout. Feeling sore after a workout is not an indication of success but merely an indication that you are doing something the body isn’t used to, such as or new routines or heavier weights. It is debatable whether or not to work out with muscle soreness. Muscle soreness can mask new infliction of pain during a workout and this could cause for further injury.